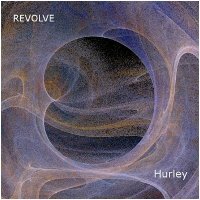 Earth Mantra is proud to welcome Greg Hurley to our roster of artists, with his beguiling and ground-breaking new album REVOLVE. Clocking in at nearly 48 minutes of continuous music, this is without a doubt a longplayer; but this is very unlike any other ambient release we've ever heard. In fact, the music lays somewhere in the hazy boundary between ambient, electronic, instrumental rock, and even jazz, combining elements of all but without committing to any one genre. It is precisely this fusion of styles that makes this album such a refreshing treat. And if his clever blending of musical colors weren't enough, REVOLVE is actually a live performance. Captured in one take from a live solo performance on StillStream.com on August 14, 2009, Greg used no loops or backing tracks -- everything that you hear in this recording was performed by Greg exactly as the audience heard it that night. "... to create a piece that evolved cyclically as if to never resolve. Inspired by the idea of objects catching critical velocity by revolving around planets in order to propel them ever-faster through space -- effectively jettisoning them out of orbit on their way to their destination. For this performance I combined ambient textures with jazz chordal structures and layered it with synth support layers and rhythms. Additionally, I used a Resonator for creating wild searing, soaring lead sounds to evoke the idea of being propelled through space." Knowing Greg's previous music, and in particular his virtuosic chops on both guitars and synthesizers, we have to add that we are quite impressed not only with the creativity of this amazing performance, but the subtlety and sheer artistry that Greg brought to bear. Truly, this is a musician who has both the technical skill to play just about anything, as well as the imagination and artistic vision to create music that is compelling and of lasting value. A highly recommended album for anyone who loves music of any style. Earth Mantra is very happy to be bringing its listeners the music of Greg Hurley, and we hope to hear much more from him in the future. Wow, very awesome soaring guitar work! One of the more distinct EM releases I've heard. This is indeed one long, revolving and evolving enterprise, which reminds me of the collaborations between two electronic artists, Klaus Schulze and Manuel Gottsching, in their Ash Ra Tempel years.